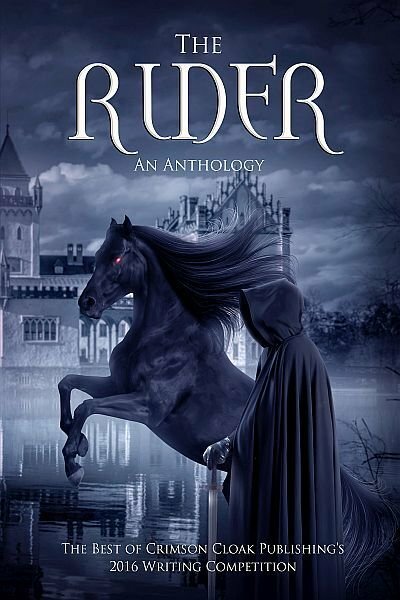 The Winners of the 2016 Crimson Cloak short story writing competition, along with a selection of the best runners-up, are presented here in a compilation volume entitled THE RIDER. Writers were asked to write a story of 1500-3000 words based around a stock picture showing a hooded rider in a fantasy landscape. The standard was so high that judging proved very difficult: in fact, first prize was a tie between talented writers Dawn McCracken and Ricky German. Third prize was won by David A. Jones after a tiebreak involving authors James Bruce and Denna Holm. Buy this book to read the cream of the crop. Posted by Denna Holm on July 9, 2017 in Archives and tagged Competition, Crimson Cloak Publishing, magic, short stories.